While America struggles to accommodate the tide of vehicles on the roads, the Dutch have a different problem entirely. Rather than worrying about road rage, they are worrying about lane rage as they deal with too many bicycles on the streets. While it sounds like a nice problem to have, it does raise real questions about how to accommodate bike traffic in a country where the number of bikes outnumbers the number of people. In Amsterdam alone, nearly a half million people cycle every day, according to numbers released by the city council. The result is a number of traffic jams, lack of parking and, yes, even lane rage problems. 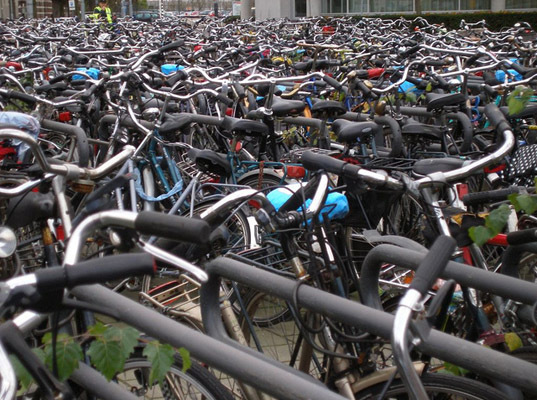 In the Hague, 2,400 illegally parked bicycles have been confiscated by the city since August. The Dutch have a long history of bicycle use, which fits naturally with The Netherland’s flat landscape. Their network of bike lanes cross over 21,000 miles of road and includes its own system of traffic lights and road signs. While the system is great, it is also decidedly inadequate for the vast number of bicycles and mopeds using it. The problem has resulted in everything from bicyclists losing track of their bike in a sea of parked bicycles to arguments and even accidents. 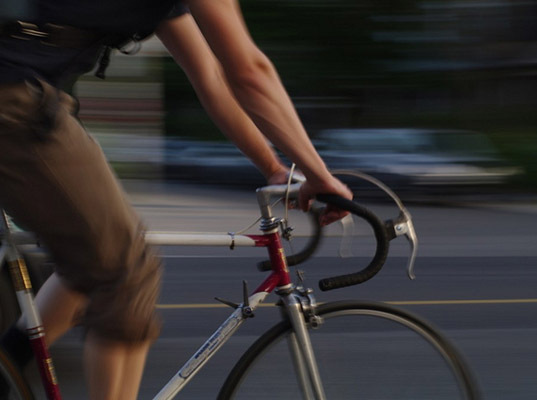 A quarter of all deathly accidents in the Netherlands involve a bicyclist. Leaders convened in Utrecht to discuss solutions, which involve more parking spots and additional bike lanes. All told, it’s a problem we’d be happy to have here in the US. With Millions of Bikes on the Road, Dutch Cyclists Deal with Gridlock, Scarce Bike Parking and "Bike Rage"